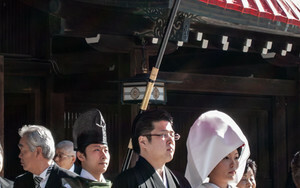 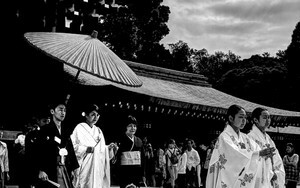 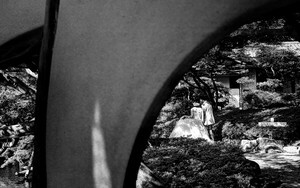 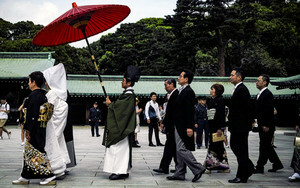 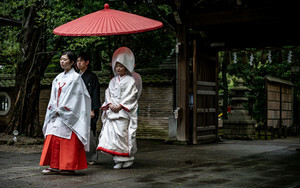 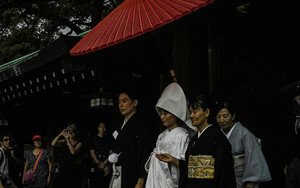 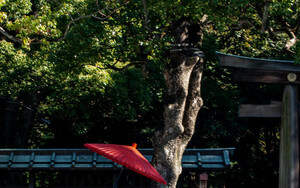 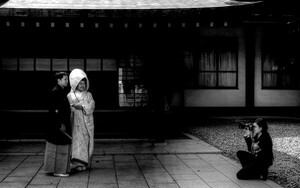 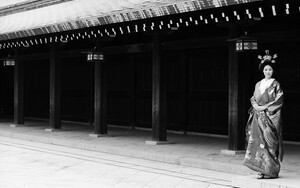 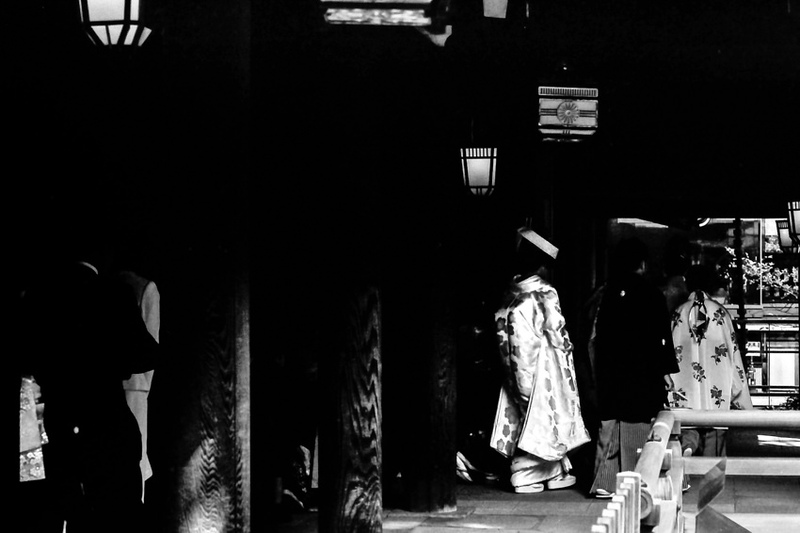 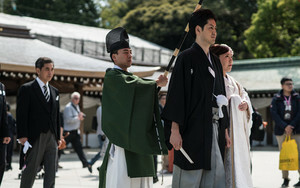 A bride wearing a Japanese traditional dress was walking the dim cloister of the shrine. 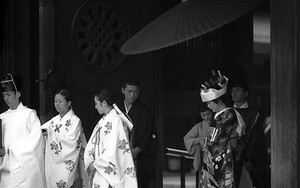 She seemed to finish her wedding ceremony at the hall of the worship and be on the way back to the green room. 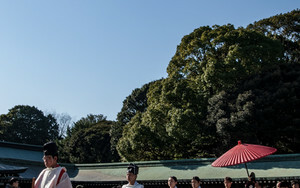 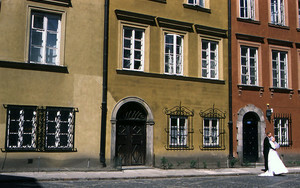 Many wedding ceremonies were held here on the holidays. 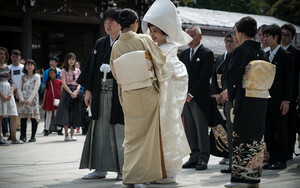 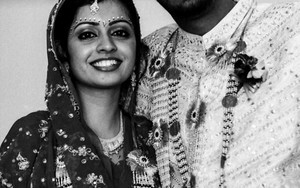 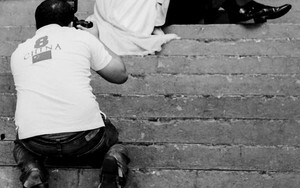 When I was in the courtyard in front of the prayer hall, I saw many bridal couples. 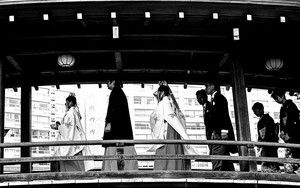 Watching them, I wondered what kind of nuptial benedictions the bridal couples were received from the Emperor enshrined here.